Inspire - to have an animating effect upon one's mind or emotions; to stimulate to some creative or effective effort; to elicit or create. 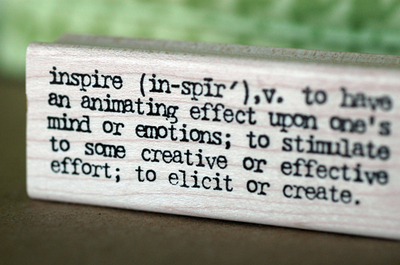 Who inspires me? My tastes have changed as my skills have developed and I have found myself headed in different directions from when I first started quilting 3-years ago. However when I sat and thought about it, I noticed that the majority of my work is centered around some of our fabulous local Australian designers, so I thought that I would introduce you to some of them. 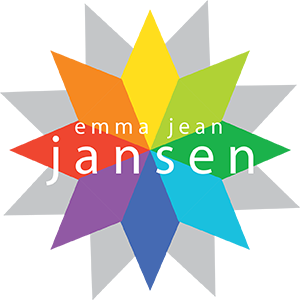 I have been a huge fan of Emma's for a number of years. She's a Ballarat Girl (so is "just down the road a bit") & a fellow cat lover. I have made "The Daisy Quilt" from her "The Linen Cupboard" fabric range; I still have "Harlequin Stars" and "Peace Quilt" waiting to be made and "Outback Blossoms" is currently on layby together with her new fabric range "Matilda". Jodie is a gem! She is guaranteed to make me laugh until the tears stream down my face every time I see her or talk to her! She is also a Ballarat girl (& so lives "just down the road a bit") and I have had the pleasure of meeting Jodes quite a few times now. 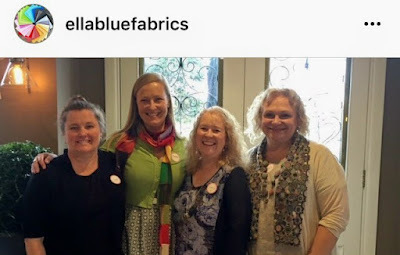 She is a school librarian turned toy maker & now fabric designer for Ella Blue Fabrics. I have made a number of her toy patterns for myself & for gifts. Her "Cats Pyjamas" fabric range is my absolute favourite and I have made PJ pants from this range together with some other items. Her newest fabric range "Bunny Trail" is totes adorbs!! 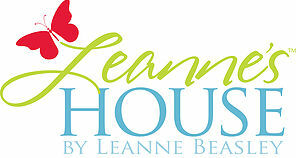 I am yet to meet Leanne in person, but she is based near the Dandenong Ranges where I used to live in Melbourne. Leanne is famed for her embroidery patterns (distributed through Creative Abundance) and she is now a fabric designer for Ella Blue Fabrics. I have made up quite a few of her patterns including the BOM "Journey of a Quilter" and am 3/4 of the way through "Mrs Beasley's Sampler Quilt". I have also made her "Hearts and Happy Flowers Bag". I still have her original "Leanne's House BOM" waiting to be made. I also have all 12 editions of her "Vignette Magazine"
Rosie is one of the loveliest people that I have ever had the pleasure to meet! I first met Rosie at Bendigo's Craft Alive in 2004 & I attended an Embroidery Masterclass with her. I look forward to catching up with her each year when she travels up to Bendigo for Craft Alive. I have sewn a number of Rosie's embroidery patterns & I have quite a lot of her fabric hoarded away in my stash. 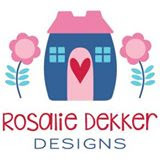 Rosalie has designed 7 fabric ranges and is now a fabric designer for Ella Blue Fabrics. I am a mad Jen Kingwell convert! Last year I attended one of her classes which was hosted by Cotton Factory in Ballarat. It was here that I learnt many of the techniques used to make her "Circle Game Quilt". I am currently making "Georgetown on my Mind" and have more of her patterns in my sewing queue. Jen owns "Amitie Textiles" shop in Melbourne and she is now a fabric designer for Moda Fabrics. I have to admit I have only recently found out about Claire Turpin Design but have fallen in love with her patterns. Her "Kitty Cats" pillows are on my lust list; as is her newly released "Catface" applique quilt. What a wonderful introduction to talented "mentors" who probably don't get as many shout-outs as they should. Thank you. Thank you Rochelle. We have some wonderfully talented designers here in Australia & these ladies are so down to earth & approachable too.